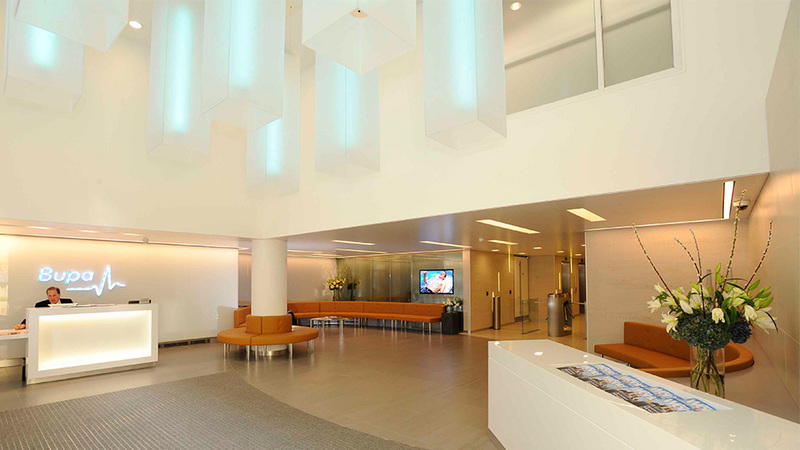 When healthcare company Bupa refurbished their headquarters’ reception they wanted a lighting design scheme that was the heartbeat of the space – high on impact but low on energy. 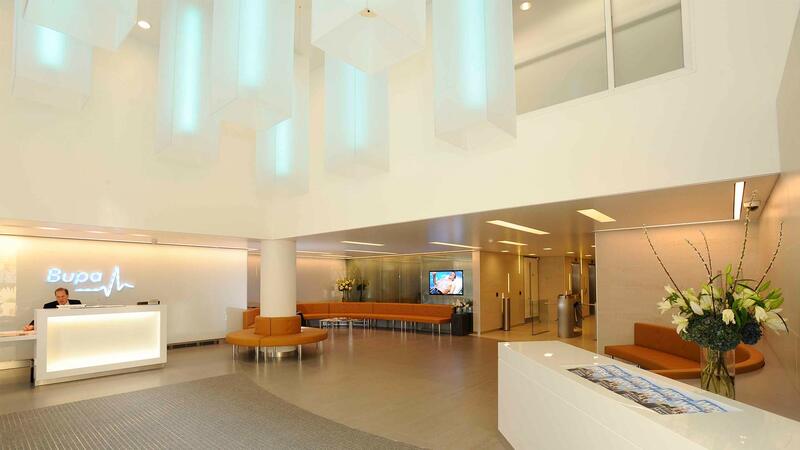 The double-height reception area called for something special so bespoke, linear pendants were created emitting a soft blue hue, making for an eye-catching entrance. 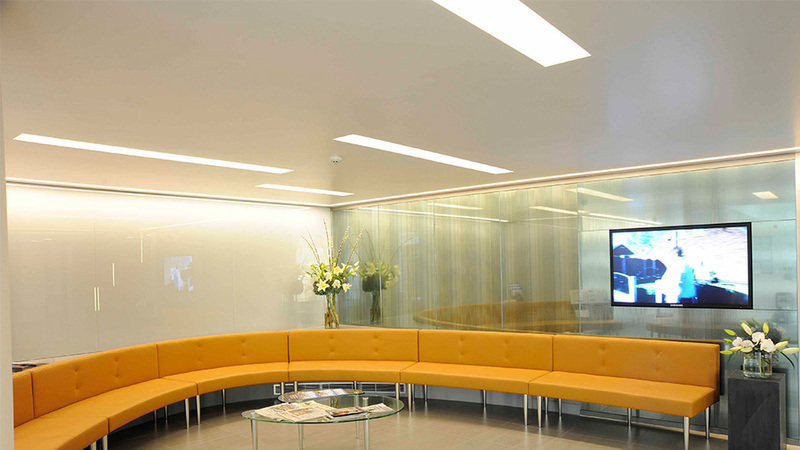 Light levels were carefully balanced throughout to make sure the rear of the space – where daylight’s limited – always felt bright, drawing the eye through and aiding orientation. 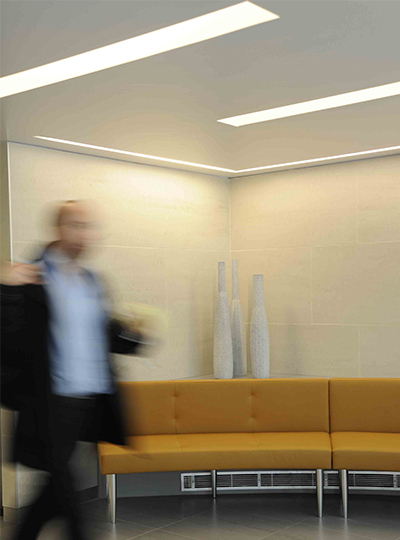 Irregular coves provided ambient illumination and wall-recessed linear LEDs completed the feature lighting. 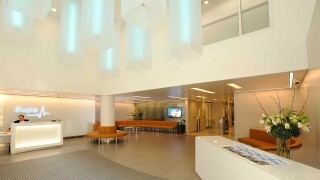 The result is a visually exciting, energy-efficient lighting design scheme that ticked all the design brief’s boxes. The cluster of feature pendants in the double-height space provides an inexpensive but interesting solution. 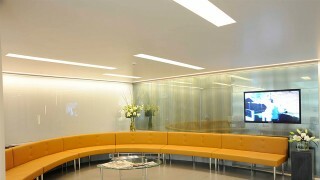 The colour inside reinforces the brand identity and is very successful.